[Bjørn] combined some aging electronics he had around the house to create this Android media center. The enclosure is an FM-radio, but since he only listens to online media it wasn’t of much use to him. After sizing it up he realized it was a perfect candidate to receive his old HTC Hero Android phone. The upper portion of the stock radio used to host controls for tuning the FM dial, adjusting volume, and switching the unit on and off. He cracked open the case, ditching the radio receiver and patching in to the amplifier. 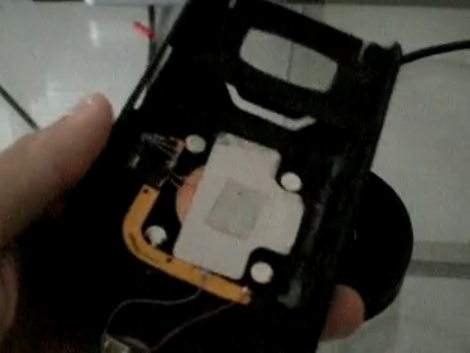 The volume knob was moved to the right side of the case, and a hole cut to receive the phone. Audio is pulled from the phone with the jack sticking out the left side. We’d love to see a future improvement using a right-angle jack (kind of like this charging hack) or patched directly into the phone’s circuit board. This way everything would fit inside the box. Now he can listen to Internet radio, or stream some video like in the clip after the break. While many mobile phone manufacturers are moving towards the micro-USB interface as a standard, others such as Apple and HTC are still bucking the trend. 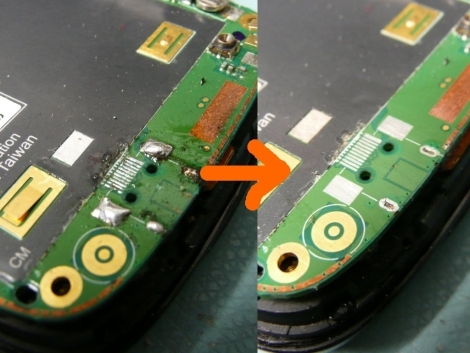 Part of [arto’s] job includes repairing mobile phones, and last month he found himself faced with a pair of broken HTC handsets that needed their charging ports replaced. Replacements for HTC’s proprietary connectors are apparently quite hard to find, and [arto] says he had to source them from an HTC repair center. With the proper parts in hand, he could finally get down to work. 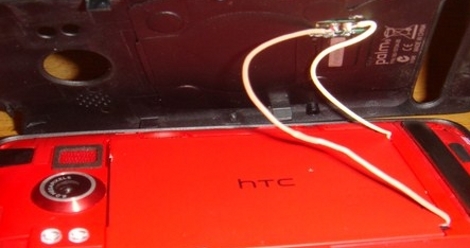 The HTC Hermes handset he repaired was a breeze, as it had plenty of space available around the charging port. 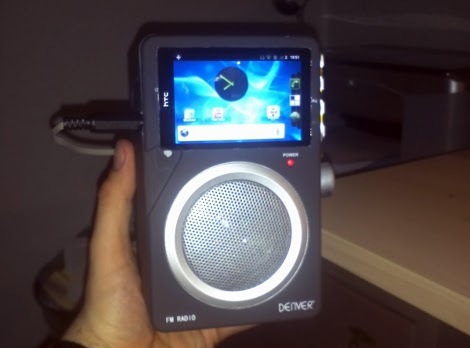 He said that this allowed him to replace the jack pretty easily, but the HTC Touch Dual was a mess in comparison. He started by removing the old adapter, which was done by cutting it out bit by bit. He says that he did it this way rather than desoldering, due to its proximity to other heat-sensitive components. After some careful soldering under a microscope, everything was back in working order. While his repairs are not necessarily the things that hacks are made of, the information is still quite helpful. Broken charging ports are extremely common among smart phones, and with plenty of these older models still floating around, his pointers just might help someone save a few bucks on a replacement phone.